Last week I showed pictures of the Halloween fun we had, and mentioned the pumpkin patch we went to had blue pumpkins. Only I neglected to actually show pictures of the blue pumpkins. So this week I thought I’d rectify that. Though the other two are cool, too, with the blue contrasting the orange. I didn’t know that pumpkins came in any other color except orange (which is what the color ‘pumpkin’ is) and white, but after seeing them with our own eyes at the pumpkin patch, I did a little research and found that pumpkins also come in red, too! I’ll definitely be saving seeds from these pumpkins and see if I can grow some next year. I’ll have to see if I can get some seeds for the other colors – just to grow my own different and unique pumpkin patch next year. After all, I’m different and unique, so why not? What’s your favorite color of pumpkin? And what’s your favorite pumpkin food? 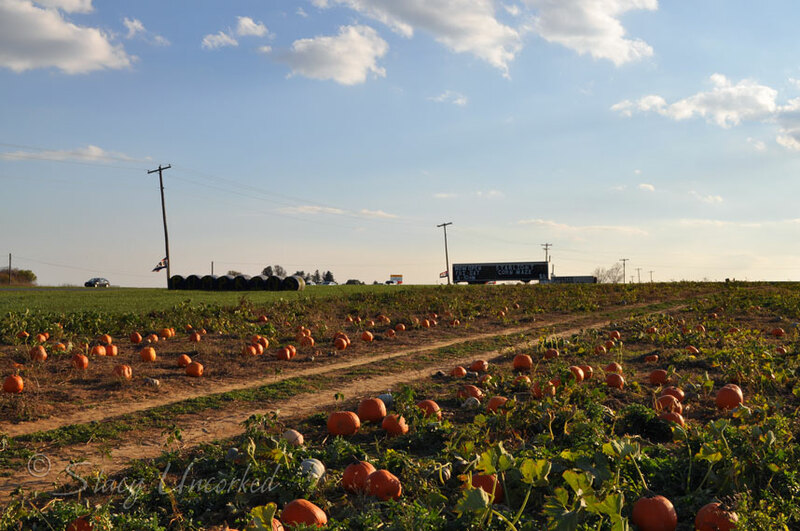 This entry was posted in Wordful Wednesday, Wordless Wednesday and tagged Blue Pumpkins, Pumpkins, Wordful Wednesday, Wordless Wednesday by Stacy (the Random Cool Chick). Bookmark the permalink. I love the way my mom prepares a pumpkin dish. She uses dried prawns but the dish never goes down well with my caucasian friends!!! Stacy I’m a huge pumpkin fan! So far I’ve made 3 sets of pumpkin pancakes, 2 sets of muffins and 2 pies all from one pumpkin! Blue pumkins,eh? Who would have thought? Very fun. The idea of different color pumpkins is interesting. I didn’t know there was such a think. I love everything pumpkin. This weekend I plan to make pumpkin curry soup. 😀 Yum. Those are gorgeous! I think my favorite are just the plain ole orange ones! How neat are those? I didn’t know they were any color other than orange either! You sure picked some unique ones – fun! Cool pumpkins! I’ve only ever bought orange pumpkins…wanted to get a white one this year, but couldn’t find one..never saw blue before! Those are amazing pumpkins! I have never seen a blue one before. 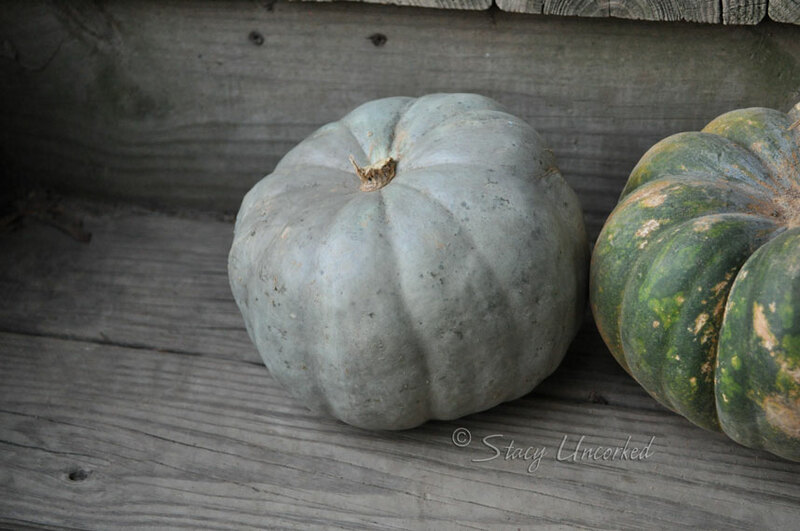 I was expecting to see Blue Hubbard Squashes when I scrolled down, but those are definitely pumpkins – Hubbard squashes are more oblong than round (but darn delicious). I like the color variations in the two on the right. Very pretty. Are they edible, or merely picturesque? PUMPKIN PIE & WHIP CREAM Nummers!!!!!!!! Okay, never knew there were different colored pumpkins actually I’ve seen t hem, but I thought they were called something else cuz they weren’t orange! Okay, slap my back and call me stupid! That has got to be the coolest pumpkin EVER. I never saw a blue one before. Very cool! And I am so jealous of your real pumpkin patch. Our pumpkin patches are just pumpkins laying in a field. 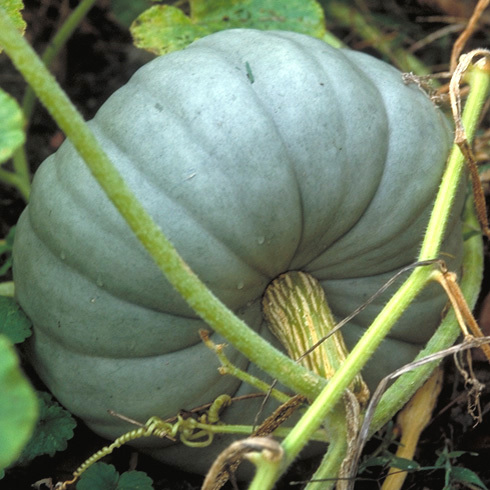 I don’t think I have ever seen a blue pumpkin…maybe I’ll look for one next year. My son would absolutely love a blue pumpkin! Wait, you make pumpkin pie and pumpkin bread using a real pumpkin? How the heck do you do that? I’m a canned pumpkin kinda girl! But I love love pumpkin! I’d have to say the pie is my fav! We got some odd looking ones too this year. They’re just as fun. When I had a restaurant with my then-husband, we had a chef who made a pumpkin soup that was so good!!! It was like having hot liquid pumpkin pie. We put a dollop of whipped cream on top to garnish. Unfortunately, the recipe has been lost. I’ve never seen a blue pumpkin! VERY cool! Blue pumpkins–awesome! I love pumpkin pie and pumpkin bread. And we love to watch the Pumpkin Chunkin’ on the Discovery Channel. That’s where I first saw white pumpkins. I love the pumpkins with the marbleized effect. Didn’t realize pumpkins came in all these colors. Those are cool! 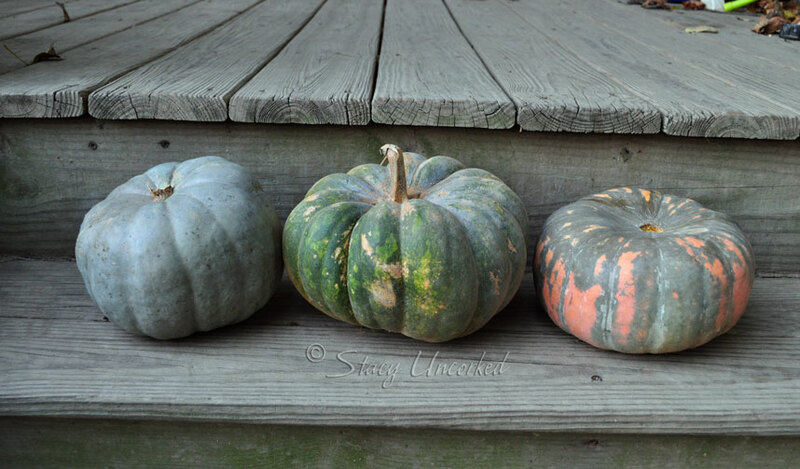 I don’t think I’ve ever seen blue pumpkins before. I just realized you have a commenter named “Boobies”. I must friend her. I also wish we had pumpkins. The leaves here are beautiful but we don’t have any pumpkins close by. Very cool. I never knew pumpkins were in other colors either..good luck growing them next year. Those are so very cool! The other day I had a pumpkin/cream cheese muffin that was to die for. Blue? I had no idea they came in any other color than orange. I would love to see a red one! I’ve seen greenish ones but not blue. What color was the insides? I have never seen a blue one. Thanks for sharing and for visiting my site. I hope the recipes turn out awesome. I love they blue ones. They are so cool. I love any of the warty looking ones too. I’ve never seen anything like that. I like them though! They are so pretty all together! Oooh…I love them! Very cool. Those are so neat! Is the flesh of that blue pumpkin blue, too? Will your pumpkin pie be blue? I’m very curious! Love them, they are so pretty. I actually haven’t seen any other color in person except for orange!